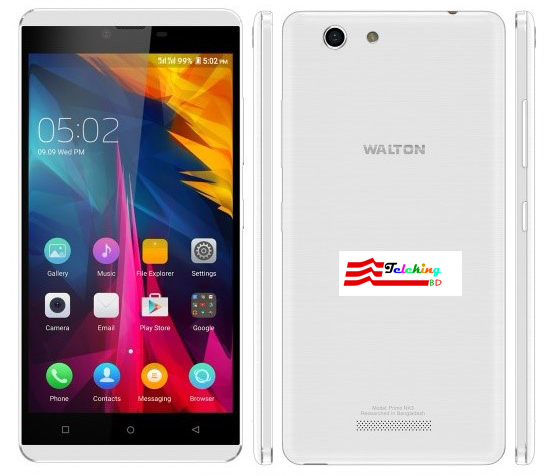 Walton has brought another stunning android phone named Walton Primo NX3. This is the third member of the NX series. The Walton Primo NX and Walton Primo NX2 were very popular when they were launched.Primo NX3 has some special features which were absent in the previous Primo devices. Android Lollipop 5.1 operating system, 1.3 GHz Octa Core Processor, 2 GB RAM, 16GB ROM, Expandable memory card up to 64GB, Dual SIM, 13 Megapixel + 5 Megapixel Camera . Colour: Dark Blue, Pure White, Golden.